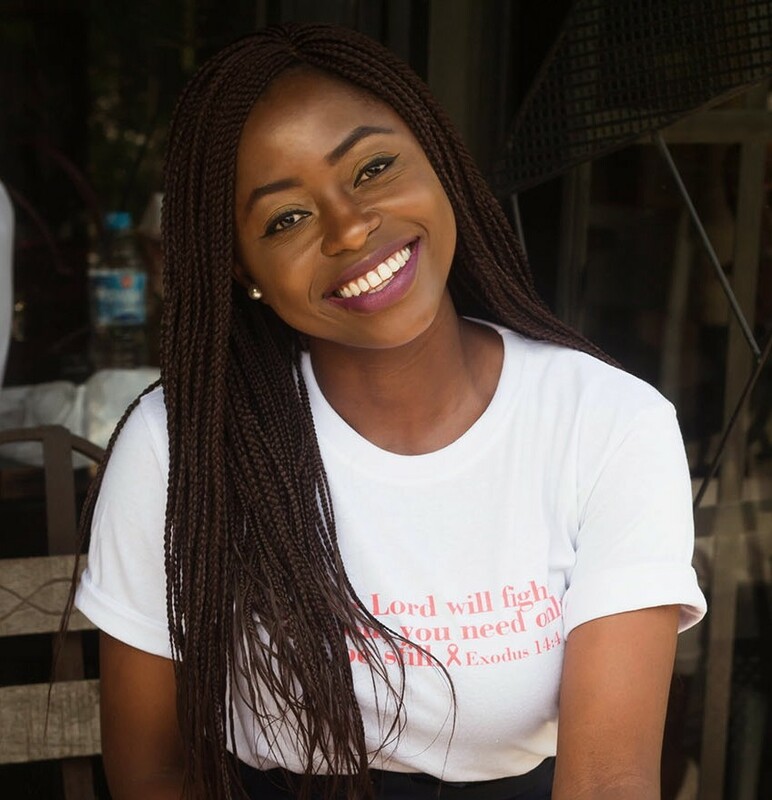 In my opinion, crop tops and midi-skirts are the ultimate combination. When I received this crop top from Choies, I immediately reached for my orange midi-skirt (styled here and here) which now fits snug since I gained some weight; I'm still not sure how I feel about the weight-gain but I have started up on my workouts after almost a month or so of slacking (smh getting a tummy pouch). Let’s talk about how amazing this top is, it’s stretchy and comfy yet it did not expand when I hand washed it. I had difficulty with the sizing so I ordered an XXL, an L would have probably been a better fit though. I still love this crop top and will be wearing it a lot more, stay tuned! I also received these decent shades which I thought would be bigger on my face. Nevertheless they are still very cool. Do you like the bigger picture size? 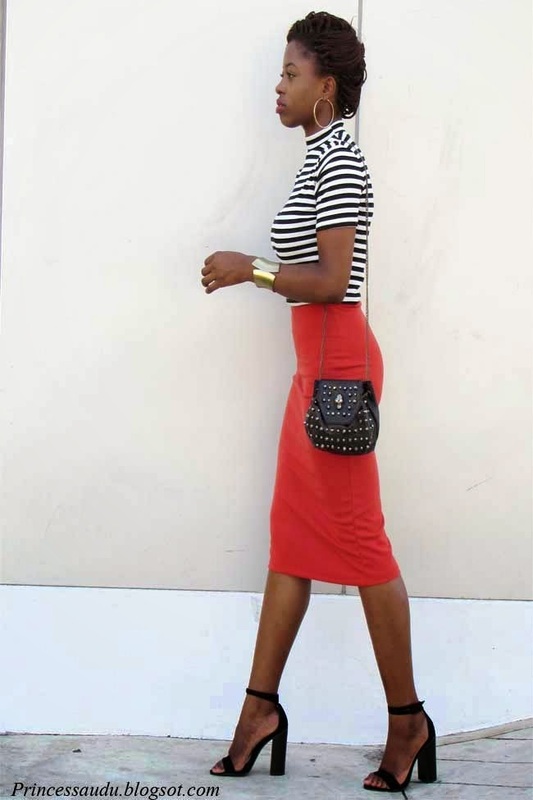 What do you guys think of crop-tops and midi-skirts? You are amazing:)! I agree with you midi skirts and crop tops are great combo. To say the truth I didn't noticed that you gained some weight...! Great look! Love the top and the sunnies! This looks amazing on you! I love how the colors are so bright, yet it remains so chic and timeless. Wow - Crop tops were made for you!! You look fab and I am totally obsessed with stripes!!! its my go to uniform most days! I love crop tops but I am pregnant so no crop tops for me for a while!!!! Oh, those shoes! Love the heels. 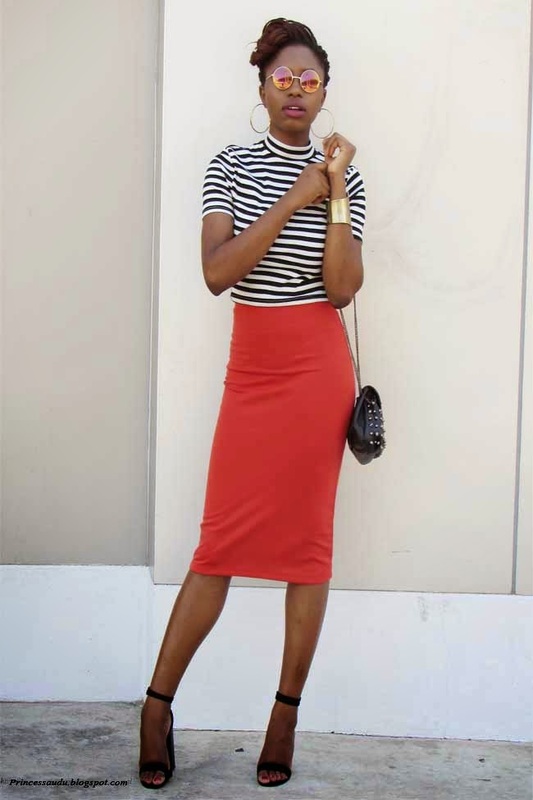 Love your midi skirt and stripes in this classic look. This skirt....yesssss!!!! Black, white, and red is a fantastic combo and you are rocking this look. Love this outfit and it looks great on you!!! Que cuerpo tan bonito tienes. Seriously great photos and that outfit is stunning!! Thanks for linking up at Whatcha Wearing Wednesday! The shoes are the reason I got something similar on Zara. 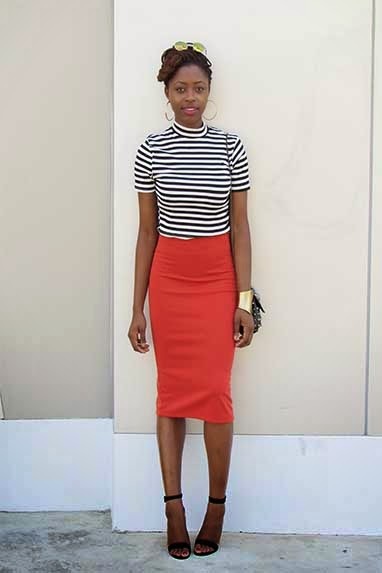 Very nice outfit, and I really like the stripe top and pencil skirt, they tie so neatly together. Love love love it! simple and chic! Thanks for linking up! 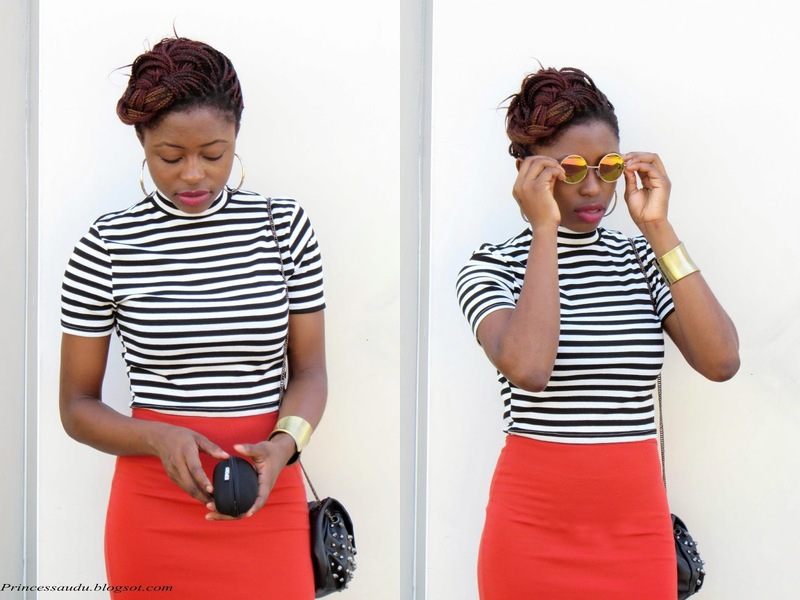 I love crop tops with midi skirts! You look so chic! I love this! Red, black, and white is one of my all time favorite combos! Such a beautiful outfit! I love your bracelet! Beautiful classic look <3 The sunglasses are perfect!